The Firemaster F40 Grate is a rectangular cast-iron grate which sits inside a 20” fire basket including the Pendle, Uredale, Langdale and Swaledale. The Firemaster F40 Grate measures 450mm in length x 275mm in width but these measurements are approximate due to the casting process. 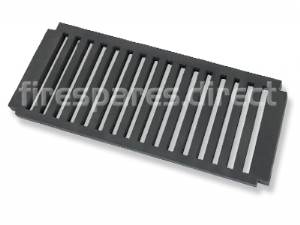 This grate is suitable to be used with a real coal or log fire and will need replacing according to individual usage. 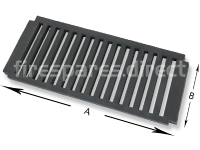 This grate is usually accompanied by the Firemaster F40 Ashpan when used for solid fuel purposes.